The Republic is a Socratic dialogue, written by Plato around 380 BC, concerning the definition of justice, the order and character of the just city-state and the just man. 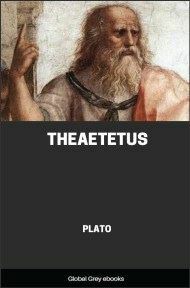 It is Plato's best-known work and has proven to be one of the most intellectually and historically influential works of philosophy and political theory. 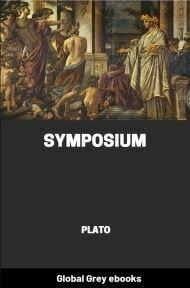 In it, Socrates along with various Athenians and foreigners discuss the meaning of justice and examine whether or not the just man is happier than the unjust man by considering a series of different cities coming into existence "in speech", culminating in a city (Kallipolis) ruled by philosopher-kings; and by examining the nature of existing regimes. The participants also discuss the theory of forms, the immortality of the soul, and the roles of the philosopher and of poetry in society. Again, Plato may be regarded as the 'captain' ('arhchegoz') or leader of a goodly band of followers; for in the Republic is to be found the original of Cicero's De Republica, of St. Augustine's City of God, of the Utopia of Sir Thomas More, and of the numerous other imaginary States which are framed upon the same model. The extent to which Aristotle or the Aristotelian school were indebted to him in the Politics has been little recognised, and the recognition is the more necessary because it is not made by Aristotle himself. The two philosophers had more in common than they were conscious of; and probably some elements of Plato remain still undetected in Aristotle. In English philosophy too, many affinities may be traced, not only in the works of the Cambridge Platonists, but in great original writers like Berkeley or Coleridge, to Plato and his ideas. That there is a truth higher than experience, of which the mind bears witness to herself, is a conviction which in our own generation has been enthusiastically asserted, and is perhaps gaining ground. Of the Greek authors who at the Renaissance brought a new life into the world Plato has had the greatest influence. The Republic of Plato is also the first treatise upon education, of which the writings of Milton and Locke, Rousseau, Jean Paul, and Goethe are the legitimate descendants. Like Dante or Bunyan, he has a revelation of another life; like Bacon, he is profoundly impressed with the unity of knowledge; in the early Church he exercised a real influence on theology, and at the Revival of Literature on politics.